"The Corps of Discovery," the expedition led by Captain Meriwether Lewis and Lieutenant William Clark, traveled by foot, on horseback, and by canoe. They pushed over rugged mountain ranges, across endless plains. They fought their way through dense forests, and against powerful currents, cottonwood snags, deadly rattlers, charging grizzlies, and raging waters. They had to endure the scorching sun, irritating mosquitoes, and prickly-pear cactus. Lewis and Clark were careful and accurate observers. Lewis was well-versed in botanical language, as well as being extremely observant. Lewis’s botanical advancement was a blend of a boyhood fascination with plants, strengthened with information given from his mother, a practicing herbalist. With President Thomas Jefferson’s assistance, Lewis was introduced to experts of the time who trained him in natural history and in the methods of collecting samples of animals and plants. Throughout the Corps’ more than 4,000-mile journey, Captains Lewis and Clark recorded 178 plants and 122 animals not previously known to science. Lewis recorded and pressed and preserved some 240 different plant species and brought them back to Washington, along with hundreds of animal and bird skins and skeletons. The Corps was also able to trap a prairie dog, a sharp-tailed grouse and four magpies, then send them back to President Thomas Jefferson. On this perilous journey, Lewis was entrusted with caring for the health of the men. He and Sacagawea were always alert for plants with a medicinal value. They were also constantly on the lookout for those plants they could use for food. For future reference, Lewis described native plants on which the Indians and members of the expedition relied for food and medicine. He knew such information would aid future travelers to the region. Near the Gates of the Mountains, Lewis and Clark discovered an abundance of a shrub called golden current, which produces berries and grows to the height of six or eight feet. 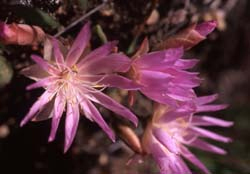 Lewis collected a blossoming Bitterroot specimen near Missoula as well. 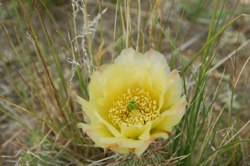 The Bitterroot was named in honor of Lewis, and now it is Montana’s state flower. Lewis devoted a fair amount of space in the journals to those plants with possible economic value. Wild onion was discovered in the Three Forks area. They felt it was a notable plant because it produced a large quantity of onions per square foot. Lewis also discovered flax in this area. During the expedition, Lewis collected many different seeds and took them back to Philadelphia and planted them. During their painstaking portage around the Great Falls of the Missouri River, Lewis noted the copious, spiny beds of prickly pear. This overabundance as a result of bison overgrazing the area. The cottonwood was the most useful plant for the Corps of Discovery. At first Lewis thought the only use for cottonwood was making their canoes. Later, during the winter, they used the cottonwood for many other things. They had cottonwood chairs, tables and ate food cooked over cottonwood fires. Cottonwood made wagons possible and portages successful. Two birds were named after the Corps’ two captains: Lewis’s Woodpecker, recorded by Lewis on July 20, 1805, and Clark’s Nutcracker, recorded by Clark on August 22, 1805. Lewis’s Woodpecker was first observed the day after the expedition passed through the Gates of the Mountains, in what is now Lewis and Clark County, Montana. The bird, about the size of a jay, is greenish-black with a silver-gray throat and a red belly. Lewis described the coloring of the bird’s throat and belly in his journal as "a curious mixture of white and blood red which has much the apperance of having been artificially painted or stained of that color." Proving that Lewis and Clark never failed to make observations no matter the circumstances, Clark’s Nutcracker was spotted by Clark while he scouted a possible land route the expedition could take across Montana’s rugged Bitterroot Mountains. The bird was spotted as he crossed Lemhi Pass. "I saw a bird of the woodpecker kind which fed on Pine burs its Bill and tale white the wings black every other part of a light brown, and about the size of a robin," Clark wrote. Though many landmarks are named after the famous explorers, these two birds are the only animals named after members of the Corps of Discovery, and one of the few animals that still bear the names given them by Lewis and Clark. Trappers and Indians warned Lewis and Clark of a great bear they would encounter, one of incredible size and ferocity. But Lewis discounted their warnings, and before he ever laid eyes on his first grizzly he penned, "The Indians may well fear this animal, equipped as they generally are with their bows and arrows or indifferent fuzees, but in the hands of a skilled rifleman, they are by no means as formidable and dangerous as they have been represented." The party encountered its first grizzly on April 29, 1805, in what is now Montana's Missouri River Breaks. One of the party’s hunters managed to kill it, and Lewis made as detailed a description as had ever been made. In the following weeks, Lewis's opinion on the bears changed dramatically as they encountered even more grizzlies. Every time a hunter made an attempt to kill one, it charged him, even when badly wounded. In one account of a grizzly encounter, it took 10 shots including five to the lungs to kill the bear. Montana’s White Cliffs region on the Missouri River near Big Sandy looks much the same as it did when Lewis and Clark passed through. It was in this area that the Corps reported seeing many bighorn sheep scaling the sandstone cliffs and rough riverbanks. Lewis and Clark in their journals marveled at the surefootedness of the “bighorned animals” as they watched them leap from ledge to ledge and scale the steep white cliffs. “The places they generally collect to lodge is the cranies or cevices of the rocks in the face of inaccessable precepices, where the wolf nor Bear can reach them, and where indeed man himself would in maney instances find a similar deficiency; yet those animals bound from rock to rock and stand apparently in the most careless manner on the Side of precipices of maney hundred feet,” Lewis wrote on May 25, 1805. No animal, plant, bird or fish went unnoticed by Lewis’s keen eye. At the Great Falls in Montana, members of the Corps of Discovery dined on a meal of trout, which Lewis described as similar to trout commonly found in streams in the eastern part of the United States. "But the specks on these are of a deep black … these are furnished long sharp teeth on the pallet and tongue and have generally a small dash of red on each side behind the front ventral fins," he wrote.